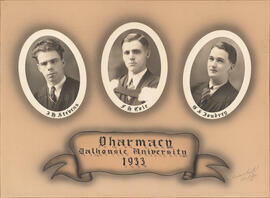 A history of the Canadian Pharmaceutical Association Inc. 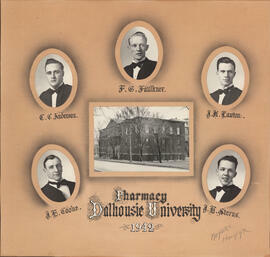 File contains articles from Canadian Druggist, Canadian Pharmaceutical Journal, and Druggists' Weekly related to Prince Edward Island (PEI). 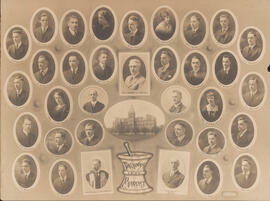 Some of the articles have been photocopied. 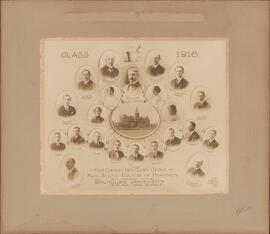 Also includes notes on Daniel A. McKinnon of Charlottetown. 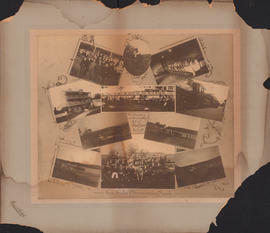 File contains black and white photographs separated from the J.K. Lawton file (28-5) of Lawton's Drug Store as well as group pictures of the Canadian Pharmaceutical Association, of which J.K. Lawton was a member. 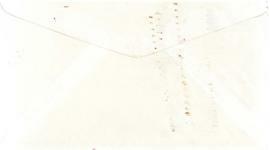 File contains correspondence with J.K. Lawton of Lawton's Drug Store, as well as notes, newspaper clippings, histories, a Drug Merchandising magazine, and pamphlets. 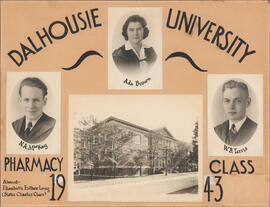 File contains handwritten notes pertaining to past Nova Scotia Pharmaceutical Society (NSPS) presidents, two 1947 articles from the Canadian Pharmaceutical Journal, and a letter sent to G.R. 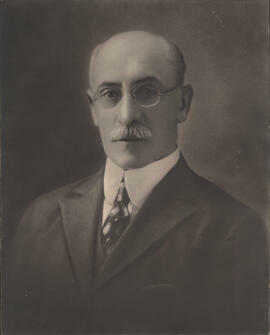 Locke, Registrar of the NSPS. 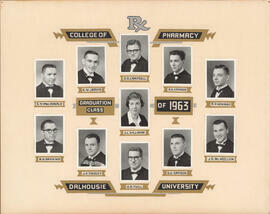 File contains textual records pertaining to the history of pharmacy in Prince Edward Island, including magazine, journal and newspaper articles, research papers, notes, and lists. 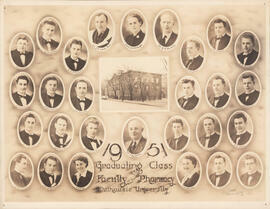 Item is a photograph from a 1914 Pharmacy Conference. 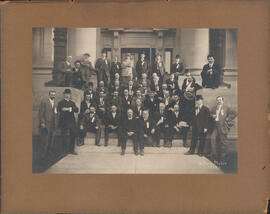 The photograph shows conference delegates sitting or standing on the front steps of a building. 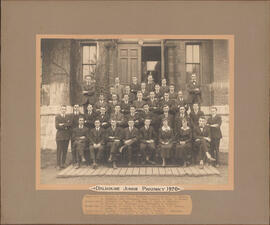 File contains a photograph taken at the Nova Scotia Pharmaceutical Society 25th anniversary and annual meeting. 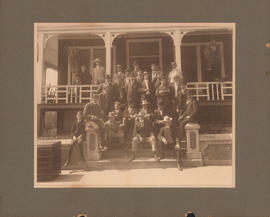 The photograph is a group photo taken on the steps of "The Sydney" in Bedford, Nova Scotia. 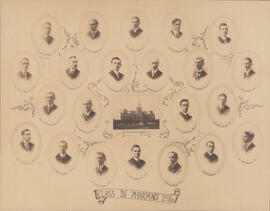 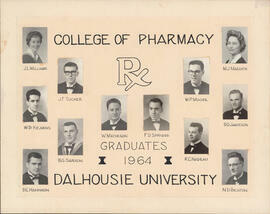 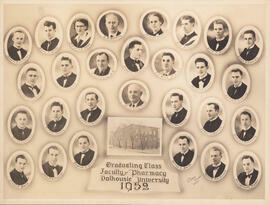 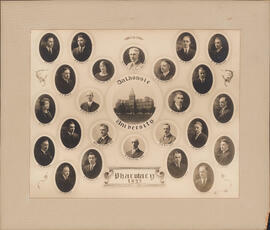 Item is a photograph of the Dalhousie University School of Pharmacy class of 2006.